Patients claiming universal credit who are exempted from prescription charges are receiving penalty notices because prescription forms have not been amended to include the benefit – six years after it was introduced. Some people have reported receiving multiple charge notices. Many people are being penalised for a pharmacy error or because of a misunderstanding. A third of the 2017 penalties imposed were overturned on appeal so far. Patients who are suspected of wrongly claiming free prescriptions face a penalty of five times the prescription charge plus the charge itself. The maximum is £100; £50 is added if the bill is not settled within 28 days. The NHS Business Services Authority (NHSBSA), an arm’s length body of the Department of Health and Social Care (DHSC), says a universal credit tick box should be added “later this year”. Until then, claimants entitled to free prescriptions must tick the “income-based jobseeker’s allowance” box. However, some who did so report they have still been penalised. Furthermore, no one is informing people which box to tick. Many of the patients who receive penalty notices simply failed to realise that they no longer qualified for free prescriptions and dental treatment. Exemption certificates are automatically issued to those who earn less than £15,276 a year and receive working tax credit, child tax credit, or income support, as well as income related Employment and Support Allowance. However, apparently, the certificates are only valid for up to seven months and recipients are not notified if they do not qualify for a renewal. The new fraud prevention system seems to be set up to penalise people because of the fact they are not kept informed of changes to their entitlement to free prescriptions, which is categorically unfair. Moreover, it is creating severe distress and harm. Last year, Labour called for an overhaul of the system when a woman killed herself after receiving nearly £200 in penalty charges. Penny Oliver, a part-time chef, had not realised her exemption had lapsed after an ESA assessment deemed her fit for full-time work. Because her benefits had been cut she could not afford the penalties. In June 2018, she took an overdose of antidepressants – the medication that had created the debt. Oliver owed sums of just £8.60 and £20.60. But with penalty fees and surcharges these rocketed – the second one alone soaring to £120.60. That’s ten times the amount for that prescription. After having lost hundreds of pounds a month when her benefits were cut, she simply couldn’t pay. Her housing benefit and council tax reduction were also cut, leaving her facing recovery action for an overpayment. She had just a few pounds in her account and was surrounded by payment demands when her family tragically found her dead last in June. Letters from the council, the NHS and Department for Work and Pensions included threats to take her to court and inform her employer if she did not pay. At the time, shadow Health and Social Care Secretary Jonathan Ashworth said: “This is shocking. Questions have to be asked about the humanity of a system that does this to vulnerable people. “Penalty charges should be scrapped – it’s a disgrace to exploit vulnerable, ill people in this way. Ministers urgently need to step in and review this system. Single mother Sue Carpenter was ordered to pay £100 after mistakenly claiming a free dental check-up. “I have had an NHS exemption since my daughter was three, but I received no reminder that it would run out when she was 18,” she explains. The NHSBSA says it is a patient’s responsibility to check the expiry date on their exemption certificate. However, recovering costs someone incurred in error is one thing, but fining people because they didn’t read the very small print, especially given that the citizens affected are likely to be ill and also on a low income, is a step too far. While it raises revenue for a cash-starved NHS, it is at the expense of those with the least, as usual. Fining people for a genuine mistake because they are not provided with sufficient information in the first place is outrageously mercenary. In 2016-17 the Health Department had an overall revenue and capital budget of £122.2 billion. Less than 4% (£4.7 billion) of its funding was allocated to the core Department, according to the National Audit Office (NAO). The remainder (£117.5 billion) was allocated to its arm’s-length bodies. That’s a huge sum of public money that is spent on managing the NHS and not on delivering frontline services. Furthermore, amendment was made via statutory instrument to the Regulation of Investigatory Powers (Directed Surveillance and Covert Human Intelligence Sources) to ensure that the senior officers of the NHSCFA will have the power to authorise the conduct of covert directed surveillance. The health authority is directed to carry out the Secretary of State’s functions in relation to counter fraud against or affecting the health service in England. Usually when Conservatives claim to “counter fraud”, it entails the creation of a hostile environment. Social security, for example, has been transformed from a redistributive system for the public protection from the ravages of poverty to one that administers the discipline, coercion and sanctions, using absolute poverty as a punishment for “non compliance”. Professional and patients’ bodies have also expressed their concern that the system designed to detect fraud is undermining the whole ethos of the NHS. “Some of the people who received these notices will be in vulnerable situations, and the impact of letters threatening court action, particularly for those who are receiving treatment for mental illnesses, should not be underestimated. It also indicates the introduction of an increasingly hostile environment within health services, especially for those ill people on low incomes. I’m wondering how it is possible to steal healthcare, bearing in mind that the same minister insists that the healthcare in the UK is still “free at the point of access”. I think this systematic restriction of access to public services more generally is precisely what David Cameron meant when he said that he wanted to tackle the “culture of entitlement”. The public pay taxes and national insurance – “social insurance” – for increasingly little return while millionaires get tax cuts and carrots while everyone else gets the austerity stick, and told to live within our increasingly diminishing means. We are being dispossessed, so the very wealthy can accumulate even more wealth. This year the NHS is piloting a digitised system that it claims will enable pharmacists to check eligibility instantly. However, surely the same system could be used to inform patients of their eligibility status also. That would reduce error considerably, too. The NHSBSA say they are digital by default, and: “We use complex algorithms and data mining tools as a means to identify both normal behaviour and outliers in NHS data, within which fraudulent behaviour may be found. The “complex algorithms” are very clearly being used as a blunt instrument, resulting in least one death, to date. Yet one of the highest costs of “highly probable” fraud, according to the NHS BSA is from procurement and commissioning fraud, at an estimated cost of £266m £266m between 2016-17. (See page 8 here). The key stakeholders of the counter fraud authority include NHS England, NHS Improvement and the Cabinet Office. The Royal Pharmaceutical Society and the British Medical Association fear the new system will withhold vital treatment from people on low incomes who remain eligible for free prescriptions but have failed to renew their paperwork. “Pharmacists don’t want to be the prescription police, spending their time checking exemptions rather than advising on patient care,” says Sandra Gidley, chair of the Royal Pharmaceutical Society’s English pharmacy board. She says that the prescription system should be overhauled to prevent confusion and reflect medical advances. “Medical exemption criteria have not changed since 1968. This means they are completely unjust. For example, those with long-term asthma have to pay for prescriptions, whereas people with diabetes don’t. Many new long-term conditions have been discovered in the past 50 years and they aren’t covered at all. Data released under the Freedom of Information Act last year shows that 1,052,430 penalty notices were issued to patients in England in 2017 – about double the level in the previous year. But the data confirms that 342,882 penalty notices were subsequently withdrawn because the patient was entitled to free prescriptions after all, upon further investigation. The agency said it was also trying to educate patients on the importance of keeping the details on both their GP records and their exemption or prescription prepayment certificates up to date. It’s yet another public service system that’s been designed to assume people are guilty of fraud, with the onus on patients to provide proof that they are innocent. However, as the data strongly suggests, in far too many cases, it isn’t appropriate to recover funds and impose fines. Errors are happening all too frequently, creating anxiety, distress and hardship. When accusations of fraud are made which are not true, it causes humiliation and creates scapegoats. Given that the neoliberal state treats citizens as if they have done something wrong as a starting point – which is the key message embedded in hostile environments; creating stigma and criminalising already marginalised groups – it’s become a standardised form of political abuse which is entrenched within our public services. It’s designed as a punitive form of resource gatekeeping, resulting in withholding service and support from the very people who those services were designed to support. Unfortunately, there is a pathological political narrative that tends justify cost cutting measures and punitive policies which portray the state and the mythically discrete class, “the taxpayer”, as victims, when the state is actually perpetrator, and we all pay taxes for the services that are being dismantled by stealth. Many of us have raised concerns related to the impact of the government’s various “hostile environment” policies in the health, housing, welfare, finances and banking, education, social services and other sectors, on vulnerable groups and those who share protected characteristics. The Equality Act was originally designed to address this kind of discrimination. But as we have learned over the last eight years, the government regards human rights and equality frameworks as a mere inconvenience. Peter Burt, a patient who was wrongly issued with one of the NHS penalty notices, said he worried about how certain patients would react to receiving one. “Some of the people who received these notices will certainly be in vulnerable situations and some will be receiving prescription medication for anxiety and mental health issues,” Burt said. Watson said more problems lay ahead if further planned changes to the way medicines were prescribed were introduced. It certainly seems to be the government’s modus operandi to withdraw compassion and care when it comes to public policy design, which have been templated to implement austerity rather than ensure delivery of public services that are fit for purpose. You can check your eligibility for free prescriptions and other health services here: National campaign launches urging patients to ‘Check Before You Tick’ for free prescriptions. 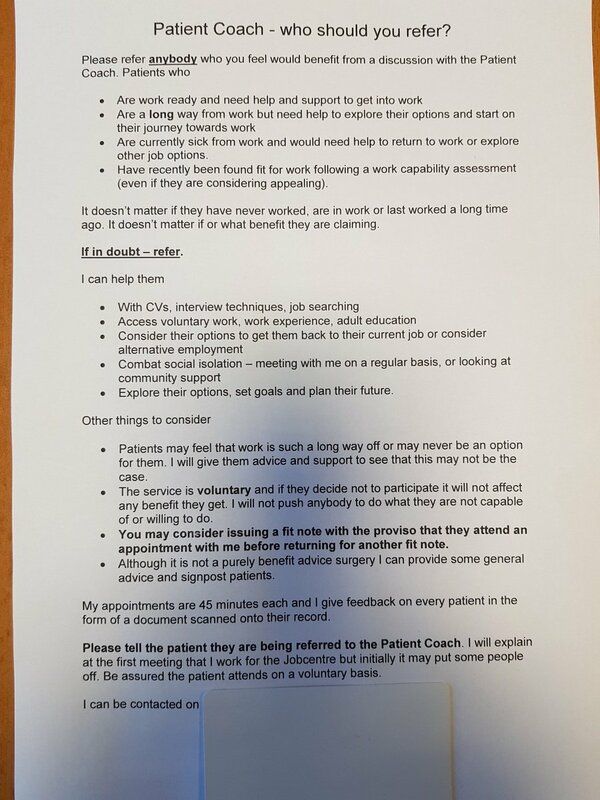 Thanks to @CarolePavlova76 for the copy of a patient work coach letter to GPs. One of the most worrying comments on the above letter is that despite claiming the work coach service is voluntary, and that if a patient refuses to engage “it won’t affect any benefit they get”, the letter then goes on to suggest that doctors may consider the issuing of subsequent fit notes conditional (“with the proviso that”) on their patient attending a meeting with the work coach. That one sentence simply makes a mockery of the claim that patient engagement with work coaches is voluntary. Illnesses don’t respond to provisos or caveats. People don’t suddenly recover when the Department for Work and Pensions decides that they are fit for work. When job centre staff tell GPs to stop issuing sick notes to patients it can have catastrophic consequences, from which the government never seem to learn. In fact they don’t even acknowledge the terrible costs that their deeply flawed policies are inflicting on citizens. The GP subsequently repeatedly refused to provide him with new fit notes, even as his health deteriorated, and he died months later. James Harrison – the patient – had been declared “fit for work” and the letter stated that he should not get further medical certificates. The Department for Work and Pensions contacted his doctor without telling him, and ordered him to cease providing sick certification, James died, aged 55. He was very clearly not fit for work. It is very worrying that the ESA65B form is a standardised response to GPs from the Department for Work and Pensions following an assessment where someone has been found fit for work. The Department for Work and Pensions issued a new guidance to GPs in 2013, regarding when they should issue a Fit Note. This was updated in December 2016. In the dogma document, doctors are warned of the dangers of “worklessness” and told they must consider “the vital role that work can play in your patient’s health”. According to the department, “the evidence is clear that patients benefit from being in some kind of regular work”. As a matter of fact, it isn’t clear at all. The idea that people remain ill deliberately to avoid returning to work – what Iain Duncan Smith and David Cameron termed “the sickness benefit culture” – is not only absurd, it’s very offensive. This is a government that not only disregards the professional judgements of doctors, it also disregards the judgements of sick and disabled people. However, we have learned over the last decade that political “management” of people’s medical conditions does not make people healthier or suddenly able to work. Government policies, designed to ‘change behaviours’ of sick and disabled people have resulted in harm, distress and sometimes, in premature deaths. Call me contrary, but whenever I am ill with my medical and not political illness, I generally trust my qualified GP or consultant to support me. I would never think of making an appointment to see the irrational likes of Esther McVey or Iain Duncan Smith for advice on lupus, or to address my health needs and treatment. The political de-professionalisation of medicine, medical science and specialisms (consider, for example, the ghastly implications of permitting job coaches to update patient medical files), the merging of health and employment services and the recent absurd declaration that work is a clinical “health” outcome, are all carefully calculated strategies that serve as an ideological prop and add to the justification rhetoric regarding the intentional political process of dismantling publicly funded state provision, and the subsequent stealthy privatisation of Social Security and the National Health Service. De-medicalising illness is also a part of that increasingly behaviourist-neoliberal process: “Behavioural approaches try to extinguish observed illness behaviour by withdrawal of negative reinforcements such as medication, sympathetic attention, rest, and release from duties, and to encourage healthy behaviour by positive reinforcement: ‘operant-conditioning’ using strong feedback on progress.” Gordon Waddell and Kim Burton in Concepts of rehabilitation for the management of common health problems. The Corporate Medical Group, Department for Work and Pensions, UK. Waddell and Burton are cited frequently by the Department for Work and Pensions (DWP) as providing ‘scientific evidence’ that their policies are “verified” and “evidence based.” Yet the DWP have selectively funded their research, which unfortunately frames and constrains the theoretical starting point, research processes and the outcomes with a heavy ideological bias. This behaviourist framing simply shifts the focus from the medical conditions that cause illness and disability to the ‘incentives’, behaviours and perceptions of patients and ultimately, to neoliberal notions of personal responsibility and self-sufficient citizenship in the dehumanising context of a night watchman, non-welfare state, absent of any notion of human rights. Medication, rest, release from duties, sympathetic understanding – the remedies to illness – are being appallingly redefined as ‘perverse incentives’ for ill health, yet the symptoms necessarily precede the prescription of medication, the Orwellian renamed (and political rather than medical) “fit note” and exemption from work duties. Notions of ‘rehabilitation’ and medicine are being redefined as behaviour modification: here it is proposed that operant conditioning in the form of negative reinforcement – punishment – will cure’ ill health. It’s a completely slapstick rationale, hammered into shape by a blunt instrument – political ideology. People cannot simply be ‘incentivised’ (coercion is a more appropriate term) into not being ill. Punishing people for being poor by removing their support does not ‘help’ them to stop being poor, either, despite the doublespeak and mental gymnastic pseudoscientific rubbish the government spouts. Of course the government hadn’t announced these ‘interventions’ in the lives of ill and disabled people. I found out about it quite by chance because I happened to read Matthew Hancock’s conference speech: The Future of Public Services. I researched a little further and found an article in Pulse – a publication for for medical professionals – which confirmed Hancock’s comment: GP practices to provide advice on job seeking in new pilot scheme. I posted my own article on the Pulse site in October 2015, raising some of my concerns. 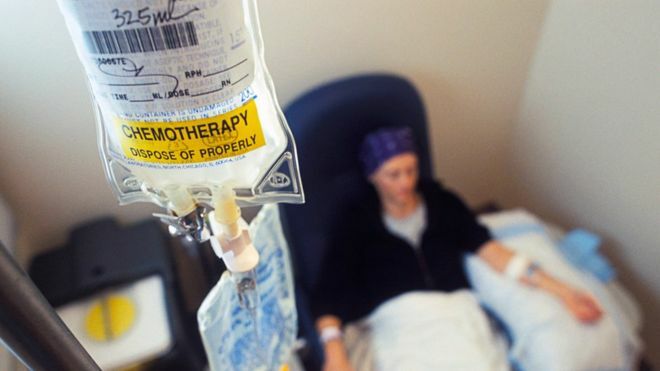 Many of us have warned that the programme jeopardises doctor-patient confidentiality, risks alienating patients from their doctors and perverts the primary role and ethical mission of the healthcare system, which is to help people to recover from illnesses. Placing job coaches in GP surgeries makes them much less inaccessible, because it turns tappointments potentially into areas of pressure and coercion. That is the very last thing someone needs when they become ill.
One worry was that the government may use the ‘intervention’ as a further opportunity for sanctioning ill and disabled people for ‘non-compliance’. People who are ill often can’t undertake work related tasks precisely because they are ill. Until recent years, this was accepted as common sense, and any expectation of sick people having to conform with such rigid welfare conditionality was quite properly regarded as both unfair and unrealistic. I expressed concern that the introduction of job coaches in health care settings, peddling the myth that ‘work is a health outcome’ would potentially conflict with the ethics and role of a doctor. I also stated my concern about the potential that this (then) pilot had for damaging the trust between doctors and their patients. In another article in 2016, titled Let’s keep the job centre out of GP surgeries and the DWP out of our confidential medical records, I outlined how GPs had raised their own concerns about sharing patient data with the Department for Work and Pensions – and quite properly so. Part of the reason for this renewed government attack on ill and disabled people is that the Government’s flagship fit note scheme, which replaced sick notes five years ago in the hope it would see GPs sending thousands more employees back to work to reduce sickness-related absence, despite GPs having expressed doubts since before its launch, has predicably failed. When a GP says a person is ‘unfit for work’, they generally ARE unfit for work, regardless of whether the ‘business friendly’ government likes that or not. And regardless of the politically prescribed Orwellian renaming of sick notes, which show ‘paternalist’ linguistic behaviourism in action. And: “We understand from this Green paper, and from the Department of Work and Pensions’ published FOI response, dated 22 December 2016, that the work coaches who will conduct the mandatory health and work conversation with claimants will not be health professionals. There is a risk that claimants will not get the right support in setting health and work-related goals during this mandatory conversation if the work coach does not have clinical expertise. “It would be helpful to know whether work coaches will be expected to have access to the claimant’s healthcare team and/or health records to inform these conversations. If so, we would appreciate reassurance that there will be a process for obtaining consent from the claimant, and providing assurance to the relevant health professionals that the individual has provided consent. Given that work coaches do not require medical expertise, we have some concerns about these conversations leading claimants to agree to health-related actions in a Health and Work ‘claimant commitment’. It seems possible that agreed actions might not be clinically appropriate for that individual or not the best course of action given their health condition. “If a claimant commitment were reviewed by the claimant’s doctor (or other healthcare professional), and the doctor concluded that there was a health risk; then would the claimant be free to withdraw from the commitment without facing a benefits penalty? If not, then this would put the doctor and patient in a very difficult position, if it appeared that the patient had been poorly advised by the work coach and was not making an informed, voluntary decision in requesting a particular treatment or care regime from their doctor. “We note the intention is for any agreement made in the Health and Work Conversation to be seen as voluntary. However, it seems to us that since the Conversation itself is mandatory and a Claimant commitment may influence subsequent handling of an individual’s Work Capability assessment, then in practice claimants may see these agreements as mandatory. “As a result they may feel pressured to accept advice and make commitments which may not be appropriate in their case. This would place theirdoctors in a difficult ethical position, and we are concerned to ensure that this is not the case. The authors add: “… we make it clear in our guidance that doctors must consider the validity of a patient’s consent to treatment if it is linked with access to benefits. Doctors should be aware that patients may be put under pressure by employers, insurers, or others to accept a particular investigation or treatment (paragraph 41, Consent: patients and doctors making decisions together). The GMC also raise concerns about how sensitive health data is collected and shared for purposes other for patients’ direct care, without patients being informed or giving consent. The government have simply proposed to access health care data to support “any assessment for financial support” and told GPs to assume consent has been given. Of course it may be the case that people in better health work because they can, and have less need for healthcare services simply because they are relatively well, rather than because they work. A political decision was made that people should be “encouraged” to believe that work was “good” for their health. There is no empirical basis for the belief, and the purpose of encouraging it is simply to cut the numbers of disabled people claiming Employment and Support Allowance (ESA) by “helping” them into work. Another government document from 2014 – Psychological Wellbeing and Work – says: “We know that being in work is good for wellbeing and that mental health problems are an increasing issue for the nation and so the Minister for Welfare Reform and the Minister for Care and Support jointly sought to expand the evidence base on common mental health problems. “A number of Government programmes assess and support those with mental health difficulties to work, but it is internationally recognised that the evidence base for successful interventions is limited. The government have gone on to declare with authoritarian flourish that they now want to reinforce their proposal that “work is a health outcome.” Last year, a report by the Mental Health Task Force and chaired by Mind’s Paul Farmer, recommended that employment should be recognised as a ‘health outcome’. I’m just wondering how people with, say, personality disorders, or psychosis are suddenly going to overcome the nature of their condition and all of a sudden successfully hold down a job for a minimum of six months. This has raised immediate concerns regarding the extent to which people will be pushed into work they are not able or ready to do, or into bad quality, low paid and inappropriate work that is harmful to them, under the misguided notion that any work will be good for them in the long run. The idea of the state persuading doctors and other professionals to “sing from the same [political] hymn sheet”, by promoting work outcomes in social and health care settings is more than a little Orwellian. Co-opting professionals to police the welfare system is very dangerous. I’m not unclear. There is no evidence. In an era of small state neoliberalism and ideologically driven austerity, it is an act of sheer political expediency to claim that ‘worklessness’ is the reason for the poor health outcomes that are in fact correlated with increasing inequality, poverty and lower standards of living – higher mortality; poorer general health, long-standing illness, limiting longstanding illness; poorer mental health, psychological distress, psychological/psychiatric morbidity; higher medical consultation, medication consumption and hospital admission rates. Both social security and the National Health Service have been intentionally underfunded and run down by the Conservatives, who have planned and partially implemented a piecemeal privatisation process by stealth, to avoid a public backlash. Unemployment (not ‘worklessness’ – that’s part of the privileged discourse of neoliberalism, which serves to marginalise the structural aspects of persistent unemployment and poverty, by transforming these into individual pathologies of benefit ‘dependency ‘and ‘worklessness’) is undoubtedly associated with poverty, because welfare provision no longer meets the most basic living costs. However to make an inferential leap and claim that work is therefore ‘good’ for health’ is incoherent, irrational and part of an elaborate political gaslighting campaign of an authoritarian government, who simply don’t want to address growing poverty and inequality caused by their own neoliberal policies. The direction that government policy continues to be pushed in represents a serious threat to the health, welfare, wellbeing, basic human rights, democratic inclusionand lives of patients and the political independence of health professionals. The capricious Donald Trump apparently told the Sun that he doesn’t like Theresa May’s Brexit plan and so it’s likely that the deal for trade between the US and UK is going to be very difficult indeed. I didn’t particularly relish the thought of unregulated US food, such as genetically modified grains, vegetables and fruit, the famous Kentucky chlorinated chicken and hormone-pumped beef filling our supermarket shelves and refrigerated sections, personally, for what it’s worth. 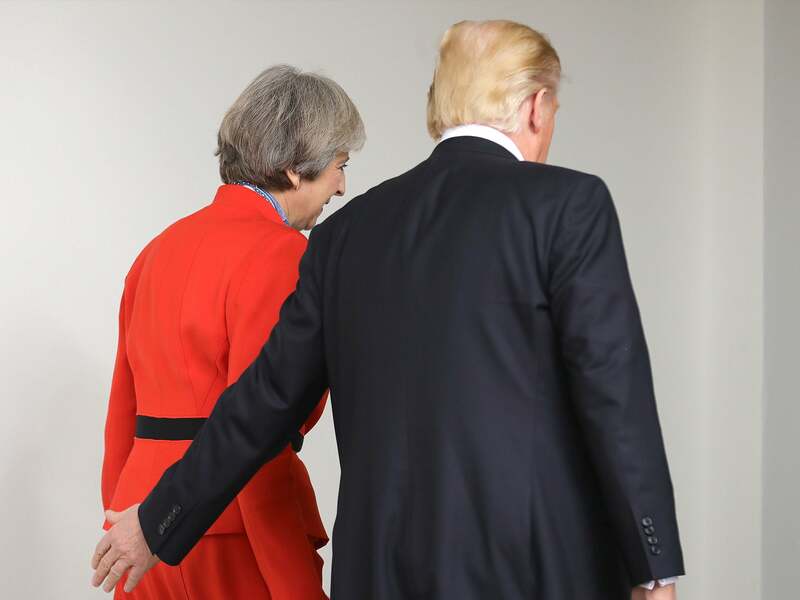 Apparently Trump said May ignored his advice by opting for a ‘soft Brexit strategy’. British Prime Minister Theresa May and her husband, Philip May, greeting President Donald Trump and the first lady, Melania Trump, at Blenheim Palace on Thursday in Woodstock. May’s proposals were finalised last Friday and quickly sparked a slew of high-profile political resignations from her Cabinet, including Foreign Secretary Boris Johnson and Brexit Secretary David Davis, over concerns that the plans would leave the UK ‘too closely’ linked to the EU. May is already dangerously close to a vote of no confidence by her party. “If they do a deal like that, we would be dealing with the European Union instead of dealing with the UK, so it will probably kill the deal,” Trump said, according to the Sun. Trump telling May that he doesn’t like the Brexit plan is completely outrageous. I’m wondering how Leave notions of ‘sovereignty” and “taking back our country” can be reconciled with Trump telling the UK government what they should and should not do. And earlier today, the fickle US president accused the media of “fake news” following the interview in which he criticised the prime minister’s Brexit plans. “I didn’t criticise the PM,” Trump said at a press conference at the prime minister’s official retreat in Chequers. The Sun interview was published as Trump dined with the prime minister at formal dinner at Blenheim Palace. As images of the front page story were released on Twitter, fury spread among UK diplomats. It all sounds rather like frantic flip-flop to me. It does bother me that the UK may be set to be totally isolated thanks to the Tories. Or even worse, Theresa May could decide to do Trump’s bidding, because she’s placed us in a desperate situation, which will leave us in an even more desperate situation. There are rumours in the media that the government is planning on stockpiling processed food and medicines in the event of a no deal. If that’s part of our Brexit plan, then it’s a clear indication that we are truly and royally set up to be stuffed. Ministers have denied this is true. But then, don’t they always? The food plan is one of 300 contingency measures that will be revealed in the next few weeks as part of a Brexit plan to show Brussels that “plan B” is a serious option, the Sun reported. Downing Street told the paper that “no deal preparation work is to be stepped up”. Dominic Raab, who replaced David Davis as Brexit Secretary after his resignation, will take charge of the plans. It was revealed last week that a unit had been set up in the Cabinet Office to deal with the complex issues that could arise. It is reportedly focused on plans for the border in the case of a swift change. The prime minister’s Brexit blueprint – finally revealed and supposedly agreed upon at Chequers – veers towards a softer Brexit than many Eurosceptics would like and this wing of her party have been quick to express their outrage. However, the fears of a no deal Brexit, coupled with the rumours of the government stockpiling food, have inspired a surreal sense of impending doom that would wouldn’t be out of place in the event of a threat of nuclear war. As a contingency plan, it certainly doesn’t inspire confidence in a post-Brexit UK future. “Like all competent government departments, we are also working to ensure that if there is no deal we are ready for it,” she said. The NHS has always remained vulnerable to the vicissitudes of governments, and has been subject to constant re-organisation: currently, as the dust is just settling on the controversial Health and Social Care Bill, enacted in 2012 by the Coalition, the present government and NHS England are pressing forward with even further restructuring. Since 2010, we have witnessed the NHS undergoing fiscal deprivation – the cuts are radical compared to any in its history. The promised ‘dividend’ to the NHS depends entirely upon the overall health of the economy following Brexit. The EU and the UK are currently negotiating and much remains very uncertain. There are practical issues concerning access to supplies for hospitals. This isnot just a question of trade, hence, with the prospect of some impact on healthcare provision, the head of NHS England has indicated this week that the NHS was making contingency plans for a hard Brexit with consequent risks to medicines supply. A further arising variable which exacerbates the potential vulnerability of the NHS is that of staff shortages. The lack of trained doctors in the UK has meant the NHS has needed the support of clinicians drawn from abroad – including those jurisdictions of other EU member states. The recent controversy over the lack of access to visas for highly skilled non-EU staff to work in the NHS, if replicated for EU citizens, would further impact adversely on staffing levels. Earlier this year, the prime minister stoked fears that the NHS will be “for sale” in a trade deal with the US after Brexit, after refusing to say it will be excluded from the talks. May was warned that a “key objective” for Washington would be gaining access to the health service, which is being opened up to more private firms. Vince Cable, Liberal Democrat leader, asked “Can she give an absolute guarantee that, in those negotiations, the NHS will be excluded from their scope? But, in her reply, during Prime Minister’s Questions in the Commons, May said it was too early to judge what “requirements” the US would have in those post-Brexit trade talks. Many of us are hoping that there will be a free trade deal made between the UK and the EU before the March 2019 deadline, otherwise the UK will be forced to trade under the ruling of the World Trade Organisation, and as a result, food prices are likely to increase further. The British Retail Consortium has stated that the absence of a trade deal between the UK and the European Union will see the price of imported food rise by 22%. Also worrying is the fact that there has currently been no promise that current EU food quality regulations will be maintained once we have withdrawn from the European Union. Trade talks with America have faced a backlash of criticism and concern, as its widely known that US farming practices entails cattle fed with growth hormones, chickens washed with chlorine, beef washed with lactic acid, genetically modified crops and the practice of feeding waste meat back to animals. We all know the potential catastrophe to bovine and human health that the latter can create, as we learned when Thatcher deregulated farming practices. The current import of these food items are banned under the current EU law. There has also been rumours that British farmers, producers and suppliers would be forced to lower their standards in order to compete with the American imports. The government in the UK, however, value deregulation. But history has shown us that health and welfare problems in the food industry start when governments deregulate and encourage companies to police themselves. Salmonella in eggs, BSE in cattle, foot and mouth and swine flu all followed cuts in animal welfare standards or inspection services. They became national scandals under successive Tory governments in the 1980s and 1990s, and a generation of children were put off eating meat, disgusted at at the treatment of animals and the potential health dangers because of a deregulated industry, that watered down hygiene practices, food and farming standards. This is what happens when private business is permitted by neoliberal governments to seek unrestricted profit. It comes at a cost because the profit incentive sidesteps even the most basic of human needs. British distaste for animal cruelty, and the serious public health scares led the Labour government to progressively raise welfare standards that are higher in the UK than in much of the rest of the EU. But the few giant poultry groups, for example, that dominate an industry that provides nearly 50% of all the meat we eat, have always complained that the high standards puts them at a ‘competitive disadvantage’. Currently, it’s variously estimated that around 70% of Britain’s food supply comes from the EU, and Brexit has highlighted the fact that the age of variety and plenty that we live in is fragile and could collapse if we fail to strike up adequate trade deals. 40 % of our fresh produce – fruit and vegatables – are also imported from the EU. The potential impact of a Brexit for the food and beverage sector is huge, be it on trade, inward investment, labour and employment or policy and regulation. The farming sector has also benefited from direct EU payments of £2.4bn in 2015 via the Common Agriculture Policy (CAP). This is all likely to change and the direction of travel is currently unknown. Some sources say the vast majority of processed food and drinks in Britain are imported, with as much as 97 per cent arriving from the European Union. A free flow of goods means minimal delays in transit, which is crucial for anything fresh. As the head of the British Retail Consortium warned Theresa May and Michel Barnier last week, a no-deal Brexit could mean “food rotting at ports”. Of course, if the flipside of a no-deal Brexit is a UK-US trade deal like Nafta, as I’ve pointed out, things aren’t looking any cheerier. Failing to secure a free trade deal after Brexit will be “disastrous” for Britain’s £28bn processed food and drinks industry and must be avoided at all costs, a committee of MPs has warned earlier this year. In a report, they outlined that without access to European Union markets after the end of the transition period, in December 2020, exports of processed foods such as chocolate, cheese, beef, pork and soft drinks would suffer while UK consumers would face higher prices and less choice on the supermarket shelves. The stark warning came from the Business, Energy and Industrial Strategy Committee, with MPs also saying that reversion to World Trade Organisation rules after withdrawal from the bloc would have a “seismic impact” on the country’s largest manufacturing sector. Brexit will see food prices rise and potentially lower standards, but as food sectors rely heavily on foreign labour forces, we won’t have the work force to support an intense home-grown model of food supply. We don’t have the space. And for some foods, (like avocados, pineapples, banannas, grapes, olives and olive oil, capers, rice, lentils, pasta, many spices and so on), we don’t have the climate. 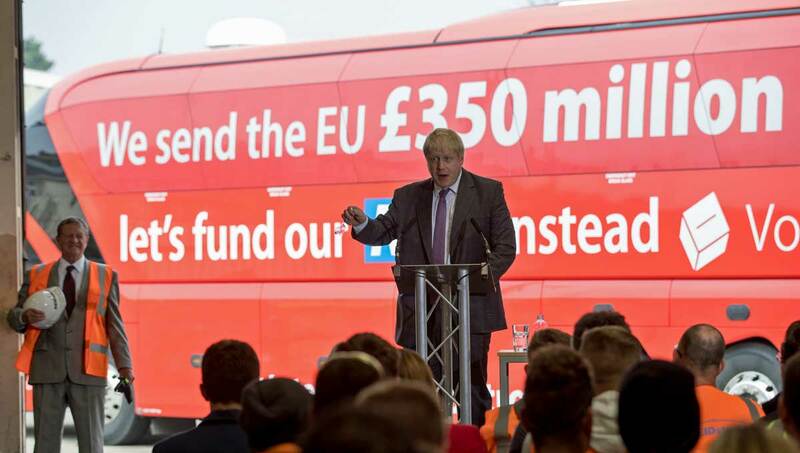 The phase of platitudes about ‘sovereignty’ and ‘the will of the people’ and other gnomic banalities is over. There has been an erosion of public confidence that May’s government knows what it is doing, since she took office. Nonetheless we will now face the consequences of our collective political decision making, regardless of how dire those consequences may well be. Brexit has divided our nation. We have stood witness to toxic social divisions and growing racism – people who look or sound different have been told by triumphant leavers to ‘pack your bags and go back where you came from. Such events don’t bode well, and they become more ominous still when serious incidents such as the horrific murder of an MP as a perceived ‘traitor’ to the nation are also considered. I’m sure that the successive Conservative governments since 2010 could not have damaged and alienated the UK any more than they already have. It’s not just the country that they have trashed, this die hard bunch of charmless relics of imperialism have extended their arrogance, intractability incompetence, lack of diplomatic skill and destructively regressive mindset on a global scale, making enemies of countries that were once our allies. Brexit means more neoliberalism: deregulation, low taxes for the wealthy, and more cuts to public services. State provision, paid for by citizens, to serve the needs of citizens, is a thing of the past. Alone, or in trade cahoots with Trump, Brexit will simply heighten the austerity, competitive individualism, building a bigger shrine to the market place, where human needs are sacrificed, dog eat dog rules, simply amplifying the worst elements of a failing neoliberal regime. Furthermore the Conservative government since 2010 have displayed an aggressive authoritarian turn. Without membership of an international community, founded on cooperation, with a negotiated system of safeguarding regulation, which encourages transparency and accountability by virtue of the level of sociopolitical normative sharing, scrutiny and evolving protective legal frameworks, the future of the UK may be a good deal less democratic than our present. Though there are already some charges for health services such dental treatments, eye tests and prescriptions already, experts have warned that if the bill gains assent, it would open the floodgates to charging for a range of other services including GPs appointments and minor operations. The National Health Service (Co-Funding and CoPayment) Bill would “make provision for co-funding and for the extension of co-payment for NHS services in England” and this will be the second reading of the bill. MPs are set to debate the proposed bill today. Recent changes to NHS prescribing guidelines has shown that the co-payment system is far from perfect. Controversial limits to the kind of conditions for which GPs can prescribe medication. Instead, patients will be given advice on what medications to buy from the pharmacy. However, someone should remind Stevens and O’Connell that everyone pays tax and national insurance. This kind of rationing is a steep and slippery slope to a health service that is no longer free at the point of delivery. However, NHS has always been free at the point of delivery – that’s one of the founding principles on which it was created. Millions of ordinary people rely on this principle. Under no circumstances must we permit the government to take us back to the time when had to sell their household belongings to see their doctor. Citizens in a civilised and democratic society should not be penalised financially for being ill and needing NHS services. Justin Madders MP, Labour’s Shadow Health Minister, said: “Once again we see the Tories’ true colours. “At a time when the NHS is going through the biggest funding squeeze in its history and more than four million people are waiting for treatment, Tory MPs are proposing a two-tier system where those who can afford it get treated first. Chope has previously tabled a range of other controversial bills. He was appointed as the Parliamentary Private Secretary to Peter Brooke, the Minister of State at the Treasury in 1986, before being promoted by Margaret Thatcher to serve in her government as the Parliamentary Under Secretary of State at the Department for the Environment later in the same year, where he was responsible for steering through the immensely unpopular “Community Charge” (best known as the Poll tax) legislation. In June 2013 Chope was one of four MPs who camped outside Parliament in a move to facilitate parliamentary debate on what they called an “Alternative Queen’s Speech” – an attempt to show what a future Conservative government might deliver. 42 policies were listed including reintroduction of the death penalty and conscription, privatising the BBC, banning the burka in public places and preparation to leave the European Union. Chope helped to lead backbench support for the motion calling for a European Referendum. He has also been heavily involved in the use of private member’s bills to achieve this aim. Chope came under fire in January 2013 for referring to some staff in the House of Commons as “servants”. Parallels were drawn between this opinion and his views on the minimum wage – which he has called to be abolished. On 28 November 2014 Chope, a private landlord, filibustered a Liberal Democrat bill with cross party support intended to make revenge evictions an offence. In 2014 Chope along with six other Conservative Party MPs voted against the Equal Pay (Transparency) Bill which would require all companies with more than 250 employees to declare the gap in pay between the average male and average female salaries. He came under criticism in late 2014 for repeatedly blocking a bill that would ban the use of wild animals in circus performances, justifying his actions by saying “The EU Membership Costs and Benefits bill should have been called by the clerk before the circuses bill, so I raised a point of order”. You can read Chope’s latest controversial and draconian bill: The National Health Service (Co-Funding and Co-Payment) Bill here. “Ever wondered why Government wanted to spend a fortune on the charging infrastructure for collecting relatively insignificant sums from illegal immigrants using the NHS? Well that was the cover story. Reality is that charging was always intended to apply to everyone. Please tell your MPs to attend the debate and to argue and vote against it, whatever party they are. Here is how to contact your MP. Template emails are downloadable from the 999 Call for the NHS website. Let’s not let the Conservatives get away with privatising our NHS by stealth. The bill did not get through the second reading, as it ran out of time. However, the Conservatives have rescheduled the bill for another attempt, on Friday 15 June. Rogue company Unum’s profiteering hand in the government’s work, health and disability green paper: work as a “health outcome”.